Simple to use, Deadline can be set up quickly and easily, whether you’re an experienced developer or occasional blogger. It’s designed to be customisable to exact requirements – putting you in control of the look and feel of your website in moments. This theme is fully responsive and uses fluid grids, fluid images and smart mark-up to ensure your site automatically adjusts to any device and screen resolution. You don’t need to manage two or more sites for different devices! 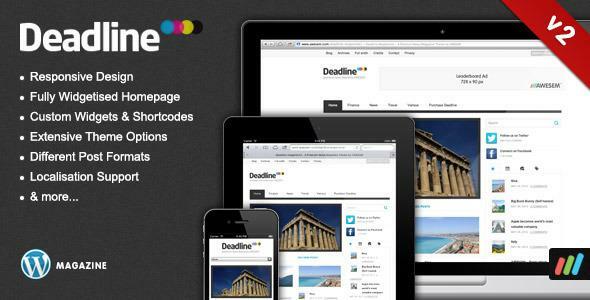 Share the post "Deadline – Responsive Premium WordPress News / Magazine Theme"